Voyage à Toronto pour la Coupe Grey incluant l’avion, 3 nuits et plus! THE CFL GREY CUP CONTEST (THE « CONTEST ») IS INTENDED TO BE CONDUCTED IN CANADA ONLY AND SHALL BE CONSTRUED AND EVALUATED ACCORDING TO APPLICABLE CANADIAN LAW. NO PURCHASE IS NECESSARY. 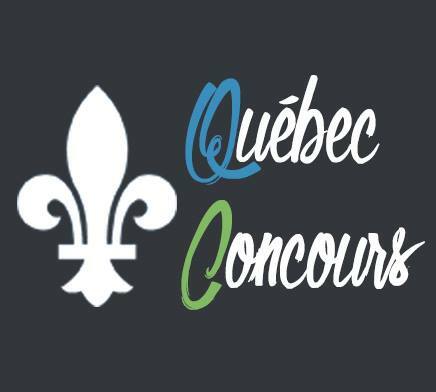 THE CONTEST IS OPEN TO CANADIAN RESIDENTS ONLY AND PARTICIPANTS MUST BE THE AGE OF MAJORITY OR OLDER IN THEIR PROVINCE OR TERRITORY OF RESIDENCE AT THE TIME OF ENTRY. VOID IN WHOLE OR IN PART WHERE PROHIBITED BY LAW. ENTRY IN THIS CONTEST CONSTITUTES ACCEPTANCE OF THESE CONTEST RULES (THE « CONTEST RULES »). (b) be of the age of majority or older in his/her province or territory of residence at the time of entry. Employees of Postmedia Marketing, a division of Postmedia Network Inc. (« Postmedia ») and CFL Enterprises LP (the « CFL ») (Postmedia and the CFL collectively, the « Sponsors »), their respective affiliates, subsidiaries, related companies, advertising and promotional agencies, and the household members of any of the above, are not eligible to participate in the Contest. The Sponsors shall have the right at any time to require proof of identity and/or eligibility, in a form acceptable to the Sponsors, including without limitation, government issued photo identification, to participate in the Contest. Failure to provide such proof may result in disqualification. All personal and other information requested by and supplied to the Sponsors for the purpose of the Contest must be truthful, complete, accurate and in no way misleading. The Sponsors reserve the right, in their sole discretion, to disqualify any entrant should such an entrant at any stage supply untruthful, incomplete, inaccurate or misleading personal details and/or information. 2. CONTEST PERIOD. The Contest begins at 10:00 a.m. Eastern Time (« ET ») on September 12, 2016 and ends at 10:00 a.m. ET on November 1, 2016 (the « Contest Period ») after which time the Contest will be closed and no further entries shall be accepted. (i) To enter online, complete and submit the entry form located at www.canada.com/contests/greycup (the « Contest Website »). (ii) For no purchase entries, clearly print your full name, complete mailing address, daytime telephone number, email address and age at time of entry on a plain piece of paper and submit it to the attention of CFL Grey Cup Contest c/o canada.com at 365 Bloor Street East, 6th Floor, Toronto, Ontario, M4W 3L4. (b) Limit of one (1) entry per person per e-mail address per day during the Contest Period. In the case of multiple entries, only the first eligible entry will be considered. (c) All entries become the sole property of the Sponsors and none will be returned for any reason. Entries must be received no later than the end of the Contest Period. Entries will be declared invalid if they are late, illegible, incomplete, damaged, irregular, mutilated, forged, garbled or mechanically or electronically reproduced. No communication or correspondence will be exchanged with entrants except with those selected for a Prize (defined below). (d) Entries submitted by mail must be received by the Sponsors no later than the end of the Contest Period, and each entry must be in a separate envelope bearing sufficient postage. (e) Entries received online shall be deemed to be submitted by the authorized account holder of the e- mail address associated with the entry. For the purpose of the Contest Rules, « authorized account holder » of an e-mail address is defined as the natural person who is assigned to an e-mail address by an Internet access provider, on-line service provider, or other organization responsible for assigning e-mail addresses for the domain associated with the submitted e-mail address. Each selected entrant may be required to provide the Sponsors with proof that the selected entrant is the authorized account holder of the e-mail address associated with the winning entry. (iv) two (2) official Grey Cup Game clothing packages. (b) The Prize has an approximate value of Four Thousand Five Hundred Dollars (CDN $4,500.00). The actual value of the Prize will depend on departure city. (c) The Winner is not entitled to monetary difference between actual Prize value and stated approximate Prize value, if any. (d) The Prize will be distributed within two (2) days after the Winner has been successfully contacted and notified of his/her Prize and fulfilled the requirements set out herein. The Prize must be claimed within ten (10) business days of notification of being selected as a Winner. Failure to claim the Prize within the allotted time period may result in your disqualification and forfeiture of all rights to the Prize (in the Sponsor’s sole discretion). local transportation costs, travel and medical insurance, travel documentation, airport improvement fees, taxes, gratuities, telephone calls, in-room charges, meals and alcoholic and non-alcoholic beverages and any other expense not explicitly included in the Prize. (f) Guests must comply with the Contest Rules and sign and return the Release (described below). The Prize is awarded solely to the Winner and guests do not have any rights to the Prize independent of the Winner, and may not travel without the Winner. (g) Prizes must be accepted as awarded and cannot be transferred, assigned, substituted or redeemed for cash, except at the sole discretion of the Sponsors. IF THE SELECTED WINNER RESIDES WITHIN TWO HUNDRED KILOMETRES (200KM) OF THE CITY OF TORONTO, THE FLIGHT PORTION OF THE PRIZE WILL NOT BE PROVIDED, AND THE WINNER SHALL BE RESPONSIBLE FOR TRANSPORTATION FOR THE WINNER AND HIS/HER GUEST TO THE HOTEL AND THE GREY CUP GAME IN TORONTO, ONTARIO. Any unused portion of a Prize will be forfeited and have no cash value. The Sponsors reserve the right, in its and their sole discretion, to substitute a prize of equal or greater value if a Prize (or any portion thereof) cannot be awarded for any reason. (h) If Prizes are shipped, they shall not be insured and the Sponsors shall not assume any liability for lost, damaged or misdirected Prizes. (a) On or about November 1, 2016 in Toronto, Ontario, one (1) entrant will be selected by a random draw from all eligible entries received during the Contest Period. The odds of being selected as a potential winner are dependent upon the number of eligible entries received by the Sponsors. Before being declared a Winner, the selected entrant shall meet all of the eligibility requirements and be required to correctly answer, without assistance of any kind, whether mechanical or otherwise, a time-limited mathematical skill-testing question to be administered during a pre- arranged telephone call or by e-mail, to comply with the Contest Rules and sign and return the Release (described below). (b) SELECTED ENTRANTS WILL BE NOTIFIED BY TELEPHONE OR E-MAIL. THE SPONSORS WILL CONTACT ALL SELECTED ENTRANTS NO LATER THAN NOVEMBER 1, 2016 AT 5:00 P.M. ET AND MUST RESPOND WITHIN FORTY-EIGHT (48) HOURS OF NOTIFICATION. Upon notification, the selected entrant must respond by telephone to the contact number provided in the notification, and the selected entrant’s response must be received by the Sponsors within forty- eight (48) hours of such notification. If the selected entrant does not respond in accordance with the Contest Rules, he/she will be disqualified and will not receive a Prize and another entrant may be selected in the Sponsors’ sole discretion until such time as an entrant satisfies the terms set out herein. The Sponsors are not responsible for the failure for any reason whatsoever of a selected entrant to receive notification or for the Sponsors to receive a selected entrant’s response. (c) If, as a result of an error relating to the entry process, drawing or any other aspect of the Contest, there are more selected entrants than contemplated in these Contest Rules, there will be a random draw amongst all eligible Prize claimants after the Contest’s closing date to award the correct number of Prizes. Sponsors, other parties related to the Contest and their respective parent companies, subsidiaries, affiliates and/or related companies and each of their employees, directors, officers, suppliers, agents, sponsors, administrators, licensees, representatives, advertising, media buying and promotional agencies (collectively, the « Releasees ») from any and all liability for any loss, harm, damages, cost or expense arising out of participation in the Contest, participation in any Contest-related activity or the acceptance, use, or misuse of any Prize, including but not limited to costs, injuries, losses related to personal injuries, death, damage to, loss or destruction of property, rights of publicity or privacy, defamation, or portrayal in a false light, or from any and all claims of third parties arising therefrom; and (iv) grant to the Sponsors of the unrestricted right, in the Sponsors’ collective or individual discretion, to produce, reproduce, publish, reproduce, convert, broadcast, communicate by telecommunication, exhibit, distribute, translate, adapt and otherwise use and re-use the Winner’s and his/her guest’s name, photograph, likeness, voice and biography in any and all media now known or hereafter devised, in connection with the Contest and the promotion and exploitation thereof. The executed Release must be returned within two (2) business days of an entrant receiving verification that he/she has been selected as a Winner or the selected entrant will be disqualified and the Prize forfeited. 7. INDEMNIFICATION BY ENTRANT. By entering the Contest, entrant releases and holds Releasees harmless from any and all liability for any injuries, loss or damage of any kind to the entrant or any other person, including personal injury, death, or property damage, resulting in whole or in part, directly or indirectly, from acceptance, possession, use or misuse of any Prize, participation in the Contest, any breach of the Contest Rules, or in any Prize-related activity. The entrant agrees to fully indemnify Releasees from any and all claims by third parties relating to the Contest, without limitation. 8. LIMITATION OF LIABILITY. The Sponsors assume no responsibility or liability for lost, late, unintelligible/illegible, falsified, damaged, misdirected or incomplete entries, notifications, responses, replies or any Release, or, as applicable, for any computer, online, software, telephone, hardware or technical malfunctions that may occur, including but not limited to malfunctions that may affect the transmission or non-transmission of an entry. The Sponsors are not responsible for any incorrect or inaccurate information, whether caused by, as applicable, website users or by any of the equipment or programming associated with or utilized in the Contest or by any technical or human error which may occur in the administration of the Contest. The Sponsors assume no responsibility for any error, omission, interruption, deletion, defect, delay in operation or transmission, communications line failure, theft or destruction or unauthorized access to, or alteration of, entries. The Sponsors are not responsible for any problems, failures or technical malfunction of, as applicable, any telephone network or lines, computer online systems, servers, providers, computer equipment, software, e-mail, players, or browsers, on account of technical problems or traffic congestion on the Internet, at any website, or on account of any combination of the foregoing. The Sponsors are not responsible for any injury or damage to entrant or, as applicable, to any computer related to or resulting from participating or downloading materials in this Contest. Entrant assumes liability for injuries caused or claimed to be caused by participating in the Contest, or by the acceptance, possession, use of, or failure to receive any Prize. The Sponsors assume no responsibility or liability in the event that the Contest cannot be conducted as planned for any reason, including those reasons beyond the control of the Sponsors, such as, as applicable, infection by computer virus, bugs, tampering, unauthorized intervention, fraud, technical failures, or corruption of the administration, security, fairness, integrity or proper conduct of this Contest and/or the Contest Website. guidelines of any canada.com property or service; and/or (d) acting in an unsportsmanlike or disruptive manner, or with intent to annoy, abuse, threaten or harass any other person. CAUTION: ANY ATTEMPT TO DELIBERATELY DAMAGE THE CONTEST WEBSITE (WHERE APPLICABLE) OR UNDERMINE THE LEGITIMATE OPERATION OF THE CONTEST MAY BE A VIOLATION OF CRIMINAL AND CIVIL LAWS. SHOULD SUCH AN ATTEMPT BE MADE, THE SPONSORS RESERVE THE RIGHT TO SEEK REMEDIES AND DAMAGES TO THE FULLEST EXTENT PERMITTED BY LAW, INCLUDING BUT NOT LIMITED TO CRIMINAL PROSECUTION. The Winner and his/her guest must at all times behave appropriately when taking part in the event and observe the Contest Rules and any other rules or regulations in force at the location/venue. The Sponsors reserve the right to remove from the location/venue any Winner and/or guest who breaks such rules and/or fails to behave appropriately and to disqualify such Winner and/or guest. 10. PRIVACY/USE OF PERSONAL INFORMATION. (a) By participating in the Contest, entrant: (i) grants to the Sponsors the right to use his/her full name, mailing address, telephone number, e-mail address and/or age (the « Personal Information ») for the purpose of administering the Contest, including but not limited to contacting and announcing the Winners; (ii) grants to the Sponsors the right to use his/her Personal Information for publicity and promotional purposes relating to the Contest, in any and all media now known or hereafter devised, without further compensation unless prohibited by law; and (iii) acknowledges that the Sponsors may disclose his/her Personal Information to third-party agents and service providers of any of the Sponsors in connection with any of the activities listed in (i) and (ii) above. (b) By opting-in online you consent to Postmedia’s and any of its corporate affiliate’s use of your Personal Information to contact you to (i) promote draws, interactive features and contests similar to the Contest; (ii) promote opportunities to subscribe to Postmedia newsletters or promotional clubs; (iii) notify you about programs, special events and related products or services; and (iv) enter you into other Postmedia-sponsored draws and/or contests. 11. INTELLECTUAL PROPERTY. All intellectual property, including but not limited to trade-marks, trade names, logos, designs, promotional materials, web pages, source code, drawings, illustrations, slogans and representations are owned by Postmedia, the Sponsors and/or their affiliates as applicable. All rights are reserved. Unauthorized copying or use of any copyrighted material or intellectual property without the express written consent of its owner is strictly prohibited. 12. TERMINATION. Subject to the jurisdiction of the Regie des alcools, des courses et des jeux in Quebec, the Sponsors reserve the right, in their sole discretion, to terminate the Contest, in whole or in part, and/or modify, amend or suspend the Contest, and/or the Contest Rules in any way, at any time, for any reason without prior notice. 13. LAW. These are the official Contest Rules. The Contest is subject to applicable federal, provincial and municipal laws and regulations. The Contest Rules are subject to change without notice in order to comply with any applicable federal, provincial and municipal laws or the policy of any other entity having jurisdiction over the Sponsors. All issues and questions concerning the construction, validity, interpretation and enforceability of the Contest Rules or the rights and obligations as between the entrant and the Sponsors in connection with the Contest shall be governed by and construed in accordance with the laws of the province of Ontario including procedural provisions without giving effect to any choice of law or conflict of law rules or provisions that would cause the application of any other jurisdiction’s laws. 14. LANGUAGE DISCREPANCY. In the event of any discrepancy or inconsistency between the terms and conditions of the Contest Rules and disclosures or other statements contained in any Contest-related materials, including but not limited to the Contest entry form, or point of sale, television, print or online advertising, the terms and conditions of the Contest Rules shall prevail, govern and control. In the event of any discrepancy or inconsistency between the English language version and the French language version of the Contest Rules, the English version shall prevail, govern and control. 15. FOR RESIDENTS OF QUEBEC. Any litigation respecting the conduct or organization of a publicity contest may be submitted to the Regie des alcools, des courses et des jeux for a ruling. Any litigation respecting the awarding of a prize may be submitted to the Regie only for the purpose of helping the parties reach a settlement. 16. NO ASSOCIATION. The CFL is not in any way associated with the programs owned or operated by Postmedia, nor are the producers or distributors of such programs associated in any way with the Contest. Passionné par les concours et les tirages pour gagner de l'argent ou bien un séjour au Mexique. Je fais de mon mieux pour rassembler les concours en ligne dans toute la région de notre cher Québec.